Our reputation and success has a proven track record among the North American seafood industry. You can rely on Wharf Seafoods as a supply source for frozen seafood commodities. Wharf Seafoods, Inc. has been in business since 1982 and services a full range of customers nationwide, from the nation's largest foodservice distributors to regional supermarkets, and local chain stores. We have been supplying bulk frozen seafood to our customer base for over 25 years with a focus on frozen fillets, crab clusters and scallops. Wharf Seafoods has been providing its North American customer base with quality frozen seafood for over 25 years. We service customers of all sizes with an assortment of purchasing frequencies (weekly, monthly, bi-monthly, semi-annually, and annually). No order is too complicated. Only need 1 case of scallops, but 1,000 pounds of fillets? Maybe those fillets are 3 different sizes and specific in country of origin. Additionally, those fillets must be only once frozen. Most of our customers have specifically detailed needs that we are happy to fulfill. In this industry, it is satisfying the customers with complicated and demanding purchases on a volume basis that has set Wharf Seafoods apart from its competition through the years. See our product listings for the array of quality frozen seafood we can procure for you. 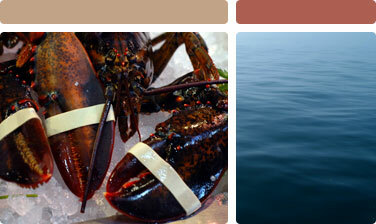 Bulk seafood is not just limited to wholesalers and foodservice companies. Wharf Seafoods can provide your retail front with volume supply of retail-ready items such as UPC coded re-sealable bags or boxes, in convenient freezer shelf or "low boy" cooler sizes. Chain accounts, foodservice customers, and other individuals may be looking for a specific brand of product. Wharf Seafoods can provide you sourcing for any frozen seafood product through our vast supplier network and relations. CNF, CIF, and cold storage delivery available from/to ports all over the world including: U.S.A., Canada, South America, China, Japan, Vietnam, Indonesia, Europe, and South Africa. If you have no experience bringing product into the United States, trust Wharf Seafoods to ensure the safe delivery of your products through international waters, customs, and FDA approval.